It is important to remember the soldiers just as our troops are returning home in July, and Black Watchpaints their emotional landscape with deep empathy. 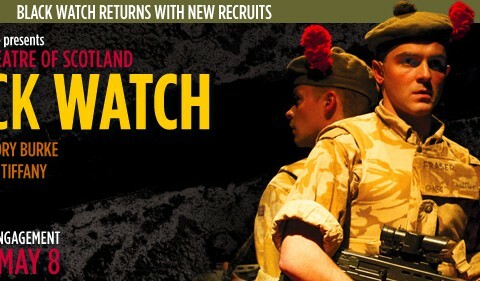 The youthfulness of the new recruits, like the real soldiers the actors are portraying, lends a heart breaking, fresh realism to the show, which, five years after its premiere in Edinburgh, has become a modern classic. But if Black Watch felt searingly topical when it first came to St. Ann’s, it now seems timeless, as fully realized, self-contained works of art must be. …more likely than ever to break your heart.